troubleshooting guide, and instructional videos. It's amazing what a little salt can do. Reliability, Efficiency, and a Quiet Backyard Too! All the control you'll need to create the ultimate experience. Comfort and Convenience at a Cost you'll love! NEW! Cleans Pool Floor and Walls with Computer Efficiency. Just 60 minutes for this Shark to hunt down dirt. Are you enjoying the benefits of a Totally Hayward™ Partnership? If not, then you need to learn what pool professionals just like you are gaining when they partner with the industry leader — Hayward®. We're proud to provide you with benefits like the Platinum Service and Totally Hayward Rewards programs, packed with tools to help you expand your business. Our goal is one source for every pooland we can make it happen...together! 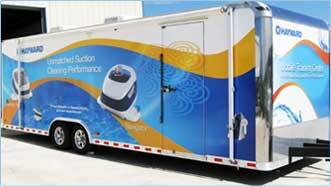 Looking for the Hayward Pool Products Consumer site?